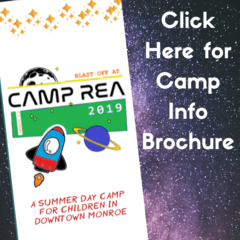 Camp Rea is a comunity mission-oriented summer camp for children who have completed grades K-5 in the Monroe community. 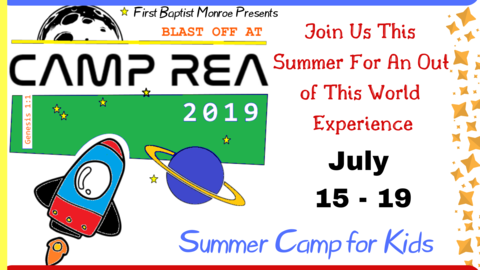 Camp Rea will give children in the community the opportunity to explore God’s word in an age-appropriate setting. The experience includes recreation, music, crafts, Biblical stories, daily serivce projects, and environmental experiences. This camp will also teach the children the importance of giving back to one’s community. 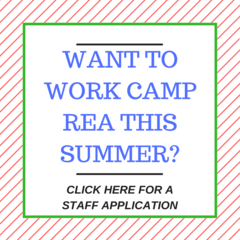 This year's camp is set for Monday July 15 - Friday July 19.